Raymond Murray Schafer was born on July 18th, 1933 near Toronto, Ontario, Canada. His first early exposure to music was piano lessons, started at the age of six through the insistence of his mother. Although he generally detested these lessons, he persevered long enough to receive a Licentiate in piano from the Royal Schools of Music – his only formal music certificate. A much more significant musical experience was his participation in a choir at a local Anglican church, which instilled in him a lifelong interest in composing choral music. At the age of fifteen he began theory lessons with the noted (and controversial) Canadian composer and teacher John Weinzweig, continuing these lessons through high school and his two years at the Royal Conservatory of Music and the University of Toronto. After an abrupt dismissal from the University of Toronto (he refused to apologize for “rude behavior” to certain faculty), Schafer went to Austria to study music at the Vienna Academy and travelled through Eastern Europe, where he met Kodaly and heard the folk music of Hungary and Romania. After a brief return to Canada, Schafer travelled to London where he studied composition with Peter Racine Fricker. In 1961 he came back to Toronto and worked at the local branch of the Canadian Music Centre, cataloguing and duplicating scores by contemporary Canadian composers. Dissatisfied with the musical scene in the city, Schafer joined with several fellow composers to form the influential Ten Centuries Concerts series, designed to expose the public to neglected music from the 11th to the 20th centuries. After a two-year stint as an artist-in-residence at Memorial University in St. John’s, Newfoundland, Schafer joined the faculty of the newly formed Simon Fraser University in British Columbia. He was a founding member of the Centre for the Study of Communications and the Arts, an organization created to break down the barriers between the arts and sciences. During his ten years at the university, Schafer rose to national prominence as a composer, with performances at the Tanglewood and Aldeburgh festivals and commissions from major Canadian orchestras. He developed the field of soundscape studies and gained an international reputation through his writings on music education. In 1975 Schafer resigned from Simon Fraser and moved to an abandoned farmhouse in rural Ontario, hoping to make a living through composing and accepting various visiting professorships. Between commissions he devoted significant compositional energy to his massive twelve-part musical/theatrical cycle Patria. In 1984 he left Ontario for St. Gallen, Switzerland, staying there for two years before moving again to Toronto, then back to rural Ontario. Since his return to Canada he has filled numerous national and international choral and instrumental commissions. He is in demand as a lecturer and educator in Canada and other areas of the world, particularly in South America and Asia. His central focus has been completing and producing the Patria cycle, several portions of which have been presented in Canada and internationally. He continues to receive accolades from his home country, with national celebrations commemorating his 70th and 75th birthdays. Raymond Murray Schafer has written over forty choral compositions, ranging from massive music dramas to short pieces for vocal quartet. He has written virtuosic commissions for such ensembles as the King’s Singers, the BBC Singers, and Orphei Dränger, and simple, collaboratively created compositions for amateur community groups. His compositions for young singers are particularly noteworthy, and such pieces as Epitaph for Moonlight and Gamelan have become his most popular works. Several influences, which can be more accurately labeled as compositional concerns, are apparent in his artistic output in general, and his choral pieces in particular. Schafer has written extensively on the philosophical underpinnings of his twelve-part musical/theatrical cycle Patria. The two main collections of these writings are Patria and the Theatre of Confluence and Patria: The Complete Cycle (which incorporates material from the earlier publication.) His concept of the “Theatre of Confluence” (his term) influences not only those choral compositions that were written for inclusion in Patria, but also pieces not specifically tied to the cycle. Schafer’s attempt at a fusion of the arts borrows on the concepts of both Wagner and the work of Berthold Brecht, but moves beyond those models. The various artistic disciplines (visual, theatrical, sonic, dance) are interwoven in his compositions – sometimes moving together, sometimes working contrapuntally, sometimes isolated or sharply contrasted. In his choral compositions the visual arts and music are combined through his use of graphic notation in his stunning handcrafted scores. (Snowforms is an excellent example). Movement is regularly incorporated into his compositions (Hear Me Out), and the audience is often engaged in a physical way. His larger choral compositions (Apocalypsis, Jonah, In Search of Zoroastor) incorporate costuming and staging, moving them into the realm of sacred music drama. There are few choral pieces that do not include non-musical elements. 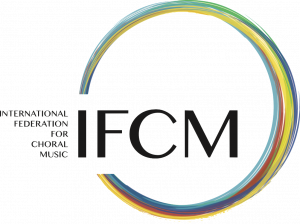 In a statement presented at the 1971 International Music Congress of the International Music Council of UNESCO, R. Murray Schafer laid out four significant goals for what he calls ‘creative music education’. He believes that music education should discover whatever creative potential children have for making music of their own, introduce students of all ages to the sounds of the environment, discover a gathering-place where all the arts may meet and develop harmoniously, and explore the ways in which oriental philosophies can be used in the training of western artists and musicians. His response to these goals can be seen in several of his compositions for young singers or amateur community choruses. Many of the compositions in the Patria cycle (his ‘place where all the arts may meet’) are written for young solo singers and youth choruses. His use of graphic notation in his compositions for youth directly flows from his philosophy that “we need… a notational system, the rudiments of which could be taught in fifteen minutes, so that after that the class could immediately embark on the making of live music.” His graphic scores do often incorporate elements of traditional notation, whether time signatures or rhythmic indications (Epitaph for Moonlight, Minnewanka), or pitch levels (Snowforms) but the underlying philosophy is that the notational system will allow students to participate in the realization of the composition in an active and creative way. 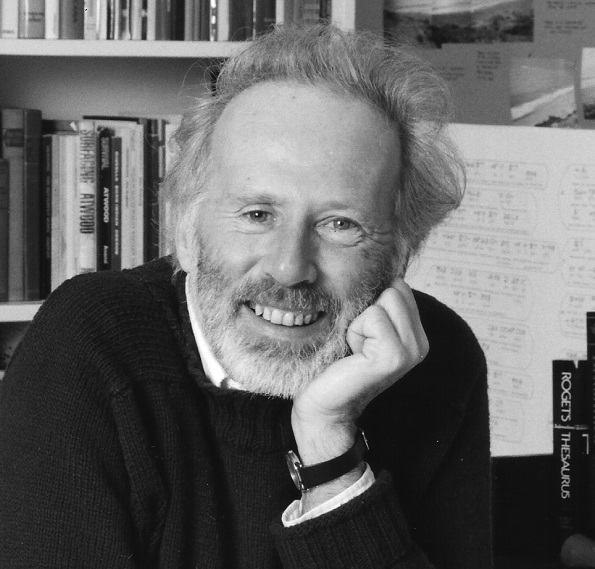 R. Murray Schafer’s interest in non-Western cultures and philosophies extends beyond his interest in pre-historic societies. Many of his choral compositions reflect an interest in eastern philosophy that extends back to his student days. Two influential poets in this tradition have been Jalal al-Din Rumi, whose writings Schafer first experienced during a trip to Iran in 1968, and Rabindranath Tagore. Schafer has also set texts from Hinduism (the Bhagavad Gita in Gita), Buddhism (the Bardo Thödol in From the Tibetan Book of the Dead and the Digha Nikaya in The Death of the Buddha) and Zoroastrianism (in In Search of Zoroaster). Many of these eastern philosophies have been fused together with Gnostic and Hermetic writings to create the librettos for not only sections of Patria but such significant choral compositions as The Fall Into Light. When Schafer chooses texts from the Christian canon, it is often in reaction to the drama of the texts, as in the extended choral compositions Apocalypsis Part I: John’s Revelation and Jonah. Through the integration of his multiple social and artistic concerns, Schafer had created an individual and sophisticated compositional voice. In his numerous choral compositions, these elements are put together in different ways, so that no two compositions are exactly alike. Over his career, he has devoted a large portion of his compositional energy to creating engaging choral music, for almost every level and combination of voices. The result is a significant and worthy contribution to the contemporary musical canon, one that can be beneficially explored by choral conductors in every area and culture of the world. R. Murray Schafer, Creative Music Education (New York: Schirmer Books, 1976), 227. I. Bontick and O. Brusatli, eds., Festschrift Kurt Blaukopf (Vienna: Universal Edition, 1975), 133. R. Murray Schafer, The Tuning of the World (New York: Alfred A Knopf, 1977), 81.